Im interested in 2014 Nissan GT-R you have listed on Global Autosports for $80,000. I would like to know more about this vehicle. 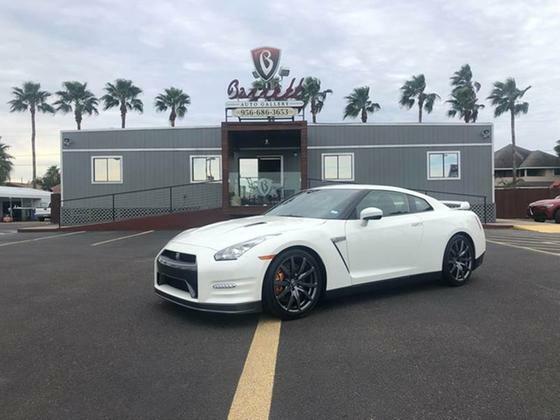 Subject Vehicle: 2014 Nissan GTR Premium (Flawless Condition) / Gun Metal Grey / Red Interior. Reason for selling: This is an immaculate vehicle, tastefully upgraded as highlighted below however, I need to carry more than two people so the time has come to move to something more practical. Seller Background: I am 50 years old (mature owner), acknowledge this represents a significant purchase and have maintained this car in the extraordinary fashion it warranted. I have always been a car enthusiast (I think this ad will represent my “car-Craziness”) and know whoever purchases this will be very pleased. I am prepared to answer any and all questions. I am a non-smoker, never tracked the car and launched only 4 times. This vehicle has been garage kept, never in the snow, seldom in the rain, truly a “big boy” toy. Open book, please ask questions. Quality Differentiator/ Maintenance / Background: I have proudly “OVER maintenanced” the car only at the dealership (Connecelli Nissan) or at my trusted independent expert (Fabworx – Vineland NJ). All records are available, and for serious buyers I will provide contacts at Connecelli and Independent Technician for further due diligence. Interior and exterior have been conscientiously maintained. Please note – Major maintenance items, engine and transmission/diffs have all been completed. I recently (8/2017) had all filters, fluids, differentials and brakes serviced. Examples of High Level of Care: (1) Door sills are Clear Bra’d, (2) all rubber bushings and hinges (doors/trunk/hood are silicone treated (regularly)), (3) All Leather treated with Lexol and Meguier’s, (4) Engine compartment washed and waxed, (5) Won best Asian Car at 2016 Porsche Exotic Cars Contest. Special Touches / Enhancements: o Venture Shield clear bra installed by Shades of Gray (hood, mirrors, door sills, and rear). o Windows are modestly tinted by Shades of Gray. o Upgraded Injector Dynamics 1300 injectors / Gesi Race Cats (solid core, 50 state compliant) / Custom Tuned by John Visconti 602 wheel horsepower / 602 wheel torque on 93 octane, delivered in a smooth, safe and refined fashion. o Ecutek Flex Fuel E85 system with latest RaceRom anti-lag/ race launch software. o Fabworx Valvetronic exhaust with remote control with Helmholtz resonator for refined custom sound (quiet when you want and loud when you want). o Michelin Pilot Super Sport tires about 5K miles (transforming the ride). o Stereo has also been upgraded to enhance the driving experience by World Wide Stereo. o Car comes with the balance of the extended warranty ~2.5 years for electronics and parts not modified. o Customized California Car Cover. o Not a blemish on the paint, truly a work of art, I hate to see it go but life demands and I will comply….for now. Underlying GTR quality: · The beauty of this car is that it is very reliable, all switch gear is perfect, and even with all the performance, with the exhaust in “Quiet Mode” it exhibits the drivability of a typical Nissan and only when asked more of it does the supercar massacring performance reveal the ferocity that lines within. A true “Sleeper”, docile in town, life altering when asked! Pricing Rationale: I am asking $80,000.00 OBO premised upon the following – o The Pristine Condition, verifiable with dealership and Indy Shop owner. 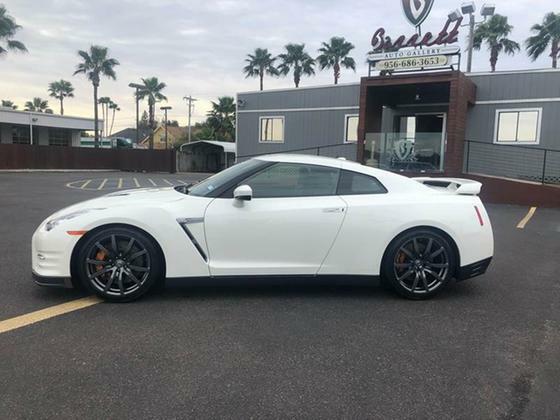 o Thoughtful, safe and quality upgrades to engine, tires, exhaust (w/race Gesi cats) and quality Ecutek Flex Fuel E85 system tuned by John Visconti (602 whp & wtrq on 93). o Extreme, diligent upkeep with supporting receipts and remainder of extended warranty. o Car only has only 21k miles, which is comprised of summer trips from Philadelphia to the Jersey Shore and weekend infrequent back road jaunts, no track use. o Car is lifetime garage kept, non-smoker, fastidiously maintained, never in the snow/sleet/salt. o Appearance is breadth-taking, subtle and vibrant. Once the car is seen, heard and reviewed, the quality and care will speak for itself!